Nostalgic for some, nightmare for others. Here’s a portrait of myself. This one is much closer to my actual self, in real life. A drawing of my beloved Tea. The horrors that await me every morning and every night. You have no idea, you have no idea what a snowflake I am. I drew an old character’s of Tea that she requested, to see what I could draw of her more seductive characters. It was a fun little sketch to do. 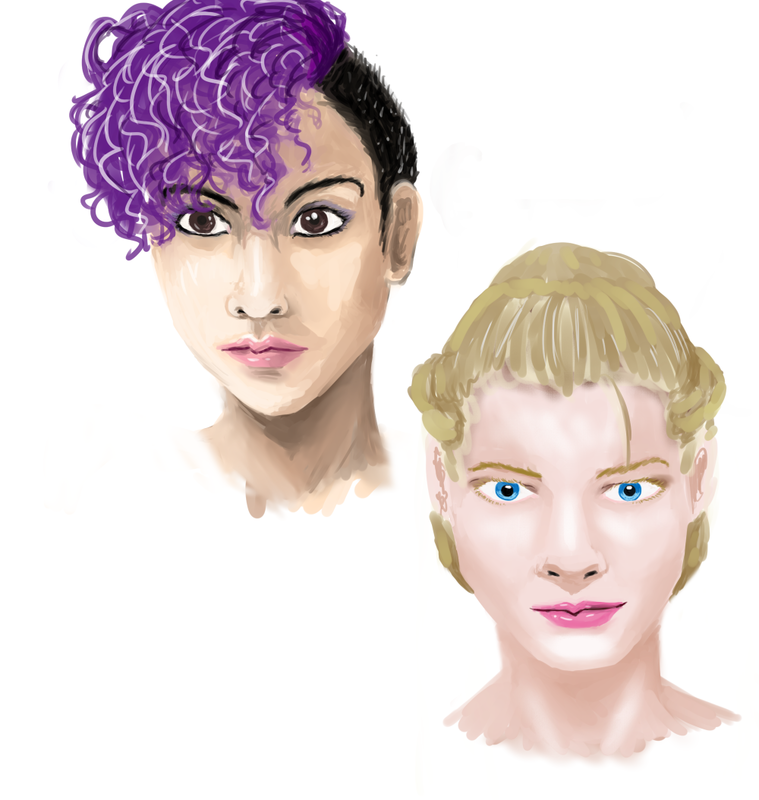 Something to distract me from the existential horror that is going to be next week’s comic. In addition Tea continues to work on and post her coloring, which is fabulous. Featured this week is a character named Alyx who we are exploring as a half Japanese/British, that was formerly just British. 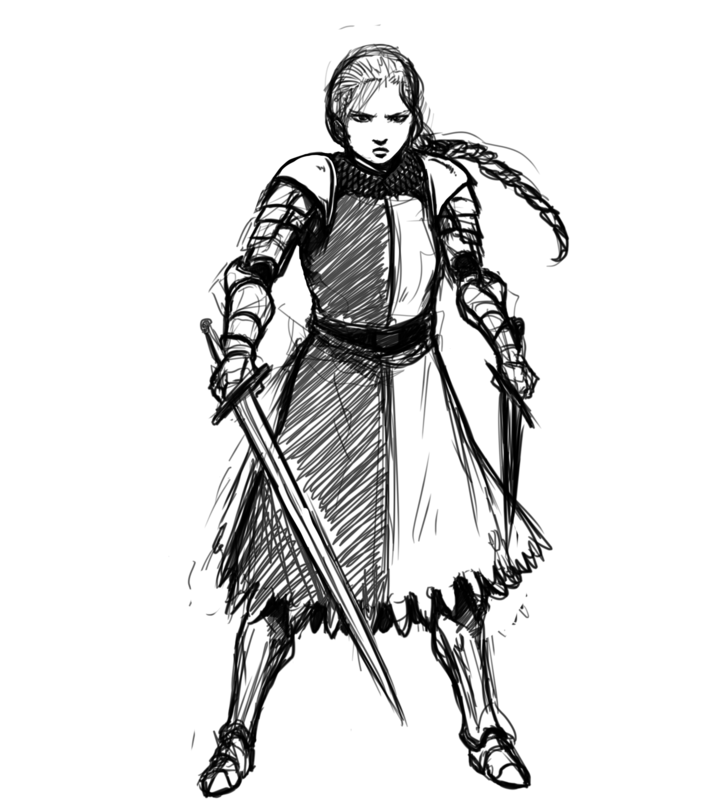 And then there is Thyra, a female knight that’s part of the story we continue to work on.